Me and my fellow electricians repaired a lot of extension cords for the other trades like carpenters who sawed their cords in half. Couple years ago my employer got fined by OSHA for having repaired extension cords on the premise. 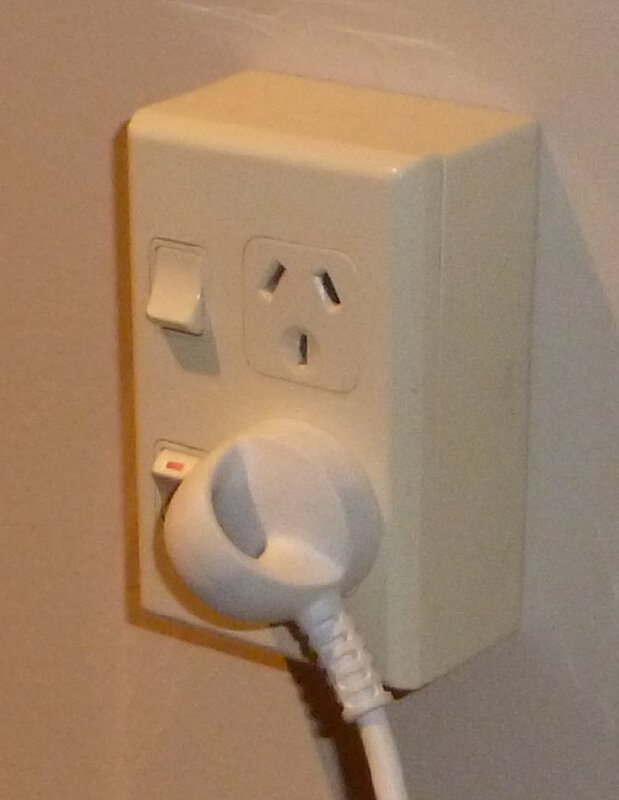 Now when a cord is damaged, both the plug and receptacle must be cut off immediately to prevent use. and quoted someone without attribution. Does that cloud look like an electrical outlet? themselves are the perceived hazards. onto the hot and neutral as a plug is removed or is partially unplugged. prerogative to mess with installation people by saying "It's code". not that hard to do it however the inspector wants. One problem with that is reading a KilloWatt meter. such that the tips don't make contact until they're completely inside. Ground is top AND bottom IIRC, and pins side by side. dropping a paperclip on it. thumb on top might contact the hot blade when plugging or unplugging. Many possible reasons, but none compelling enough for NEC to mandate. can plug things in and turn them on after they are plugged in. The switch is upside down by our standard tho. Good choice Mr. Safety, but often there isn't enough room in the box to use it! When it comes to electrical safety, there are no 'short' cuts. Demo the wall and put in a bigger box. While you're at it, put in a new entrance panel with AFCIs. It's for the kids! the walls so that they feel comfortable?